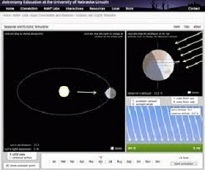 Planning a unit on Astronomy? Don't miss these simulation-based modules. Superior quality, fun, and adaptable for grades 11-12. Includes assessments. Free, simulation tool developed to help students grasp underlying concepts necessary to approach and solve heat transfer problems. 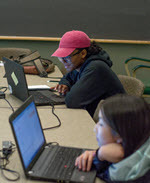 This ComPADRE Book contains a list of resources and community projects for integrating coding into high school physics and physical sciences classes. Anyone who knows of other similar resources are encouraged to contact the editor about adding them to this list. Do you like the PhET Circuit Construction Kit DC, but want to use only in-line ammeters? This is the sim for you! Now available in HTML 5. Turn your smartphone into a robust tool for data collection! 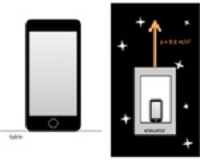 This resource provides 8 simulations that use a mobile device accelerometer to sense motion. Robust free tool to explore high-resolution images produced by electron, fluorescence, and atomic force microscopes. Datasets are shared via Java RE. NASA brings together a rich array of visualization tools for a 3D exploration of our cosmic neighborhood. Informative, interactive,and great fun! IVV combines video analysis and conceptual physics questions, each designed to promote understanding of difficult concepts. This interactive model is a great way to give students virtual practice in using a micrometer. Perform measurements, then check your accuracy. 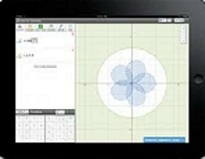 Versatile online calculator lets you view multiple graphs on one grid, create your own interactive graph, and easily embed your creation.